Author’s Note: On April 24 and 25, 2004, I interviewed Anna Taylor Grissinger and Mabel Frey Hensel, both widows in their early nineties, in their homes at Messiah Village, Mechanicsburg, Pennsylvania. They had been missionary kids, the children of pioneer missionaries to Africa, Myron and Adda Taylor and Harvey and Emma Frey, respectively. My interest in talking with them stemmed from my own experiences in Africa, and from a desire to know more about my missionary relatives. 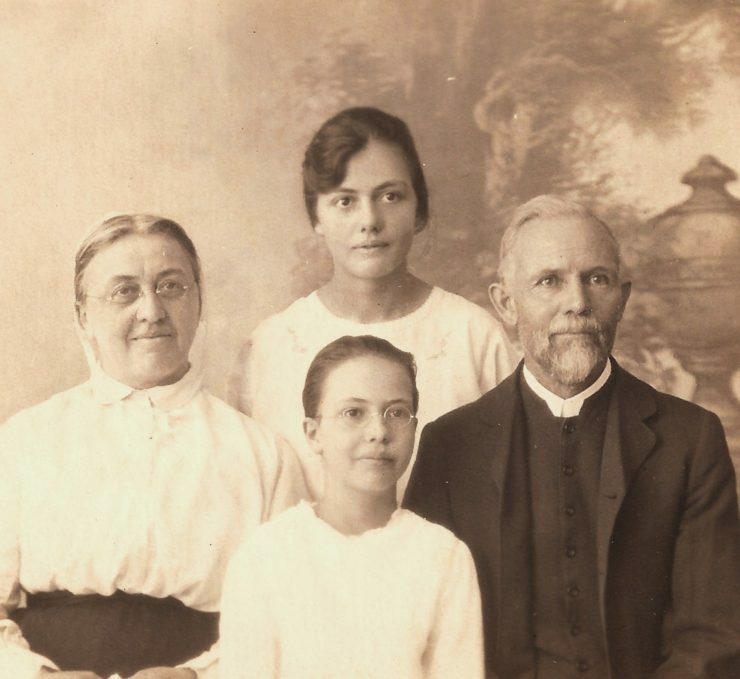 Anna’s mother, Adda Engle Taylor, was first cousin to my great-grandfather M.G. Engle. Mabel was first cousin to my grandmother Minnie Lady Engle. The interviews with my newly met cousins were informal; I made hand-written notes. I told them of my intent to include their memories in a book I was writing. I had two, ninety-minute sessions with Anna, over two days. I spent ninety minutes with Mabel, and followed up with written correspondence. The year is 1919, the place Sikalongo Mission—a beautiful, remote station in Northern Rhodesia (now Zambia) founded by Anna’s parents Adda Engle and Myron Taylor. Anna’s heart is heavy as she petitions the heavens—something she will continue to do for many months. 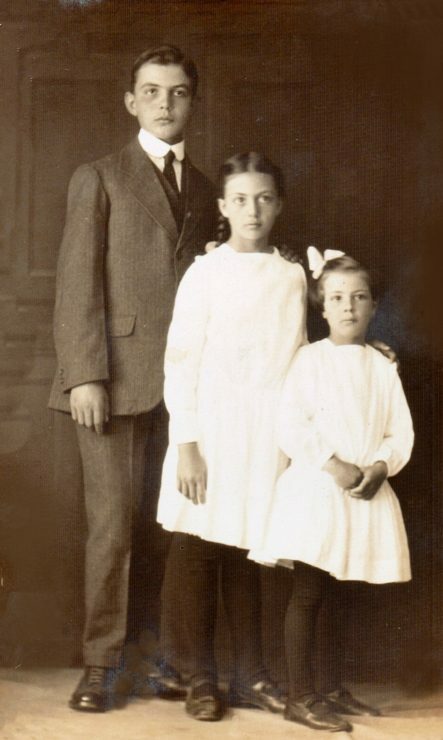 She and her parents had recently parted with Anna’s only sibling—eight-year-old Ruth—putting her on a train to Cape Town, and then the long ocean voyage to America. 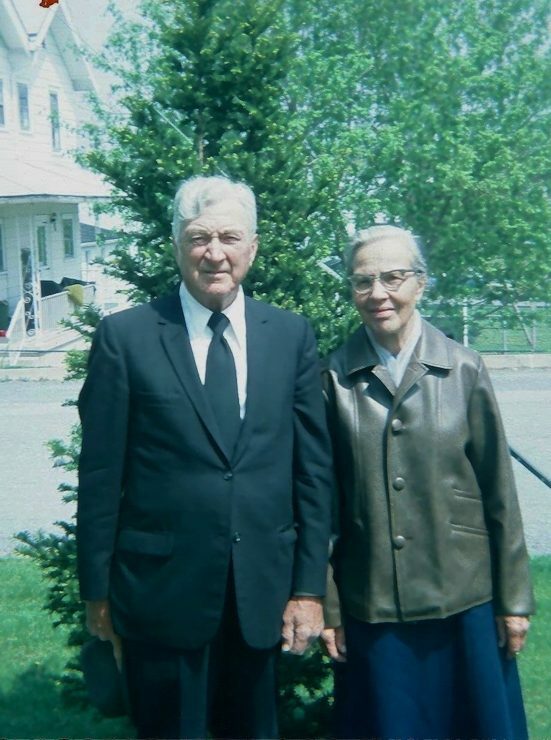 Six years would pass before the Taylors would see Ruth again. “Did they show emotion when Ruth left?” I asked. “I never saw Mother or Father cry,” replied Anna. Sikalongo Mission missionary workers, 1924. From left to right: Beulah Musser, Adda Engle Taylor, Myron Taylor. Front left: Anna Taylor. Anna also gained another “big sister”—Musunse—a Tonga (African) teenager who worked for the Taylors when they served at Macha Mission, which had been co-founded by Frances Davidson and Adda Engle in 1906. She then accompanied them to Sikalongo in 1916. Bush life offered both excitement and danger. Anna was with her mother in the kitchen one day at Macha Mission when Frances Davidson, who had gone to the chicken coop to get eggs, came running and yelling, “Get the permanganate quick!” A cobra had spit poison in her eyes. Every missionary home had its bottle of potassium permanganate—the purple water-soluble crystals that could be dissolved in various strengths and used as disinfectant, astringent, or antiseptic. Frances treated herself, but got the solution too strong and burned her eyes. She had to stay out of the sun for several days while her eyes healed. Myron went after the snake with a stick, but the fast-moving creature got into the house and coiled itself around Myron’s leg. He yelled for some nearby Africans, who came running with their spears. By this time the agitated snake had slithered into the kitchen, onto the kitchen table, and back to the floor again. The Africans, aiming through open windows, pinned the mamba to the floor with their spears. Anna’s closest age mate among the missionary children was Mabel Frey, the youngest child of Harvey and Emma Frey—founders of Mtshabezi Mission in Southern Rhodesia (now Zimbabwe). 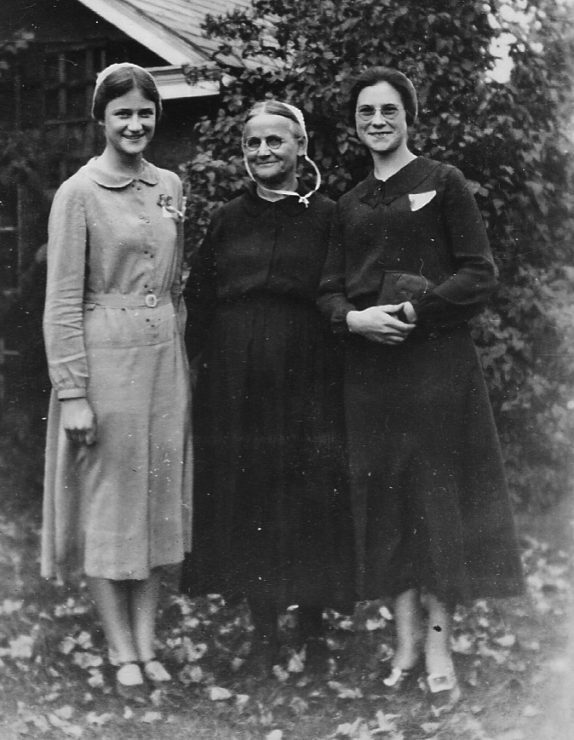 Anna noted that her mother Adda and Mabel’s mother Emma were “very good friends,” having traveled to Africa together in 1905. There were visits back and forth between the mission stations. Anna played with a kudu (a common African deer) her father brought home one day, suggesting it would make a good pet. 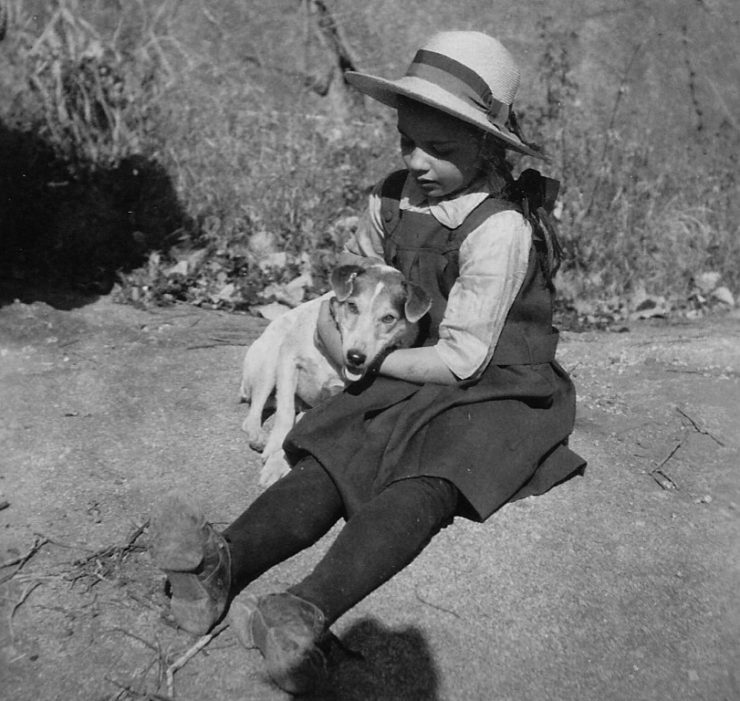 Mabel adored her own pets—the dogs Tessie and Tinker. “Daddy taught me until I was nine,” said Mabel, “and then I had a short period at Eveline boarding school before we moved to Bulawayo, when I became a day student.” Anna Taylor went to school with Mabel for awhile, during which time Anna lived with the Freys in Bulawayo. While living in Bulawayo, Anna received weekly letters from her mother. “Mother was a writer,” said Anna. “She kept in touch with family.” One week Anna did not receive a letter, and got worried, but later she learned her mother had been away on a village visit. You are just beginning to look out upon the great ocean of life with all its possibilities, trials, dangers, difficulties—but with all the victories, blessings and crowns as well. How glad you may be that you have a Captain for your ship who knows the way and who ever cares for you. Trust Him and obey Him implicitly, my dear daughter, and you need never fear any trial or danger. Can it be that my baby daughter is so nearly grown? Only a short time ago you used to want your father to take you in his arms and carry you outside every time he put on his hat. 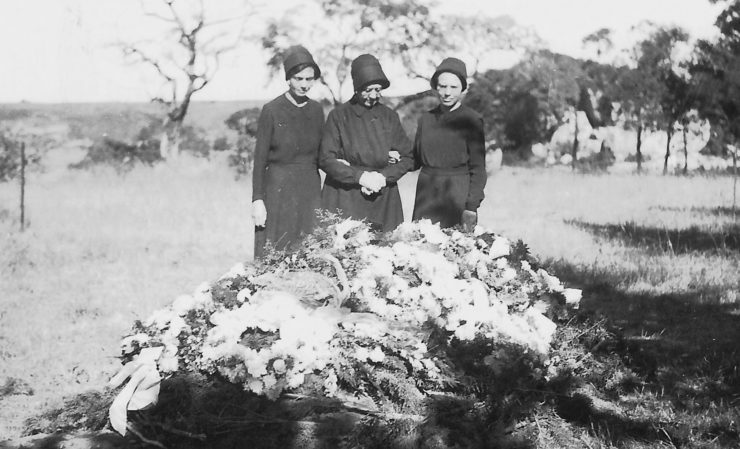 Mabel returned to Africa in 1936, just prior to her father’s death at Matopo Mission. Harvey Frey was sixty-three when he died on May 28, 1936. Anna’s father also died in Africa, following attack by a wounded lion. Myron Taylor was on an evangelistic mission in the Zambezi Valley southeast of Sikalongo when he offered to help track a lion that was terrifying the local people. A Brethren in Christ mission history book describes what happened: the setting of a trap, the lion dragging it away, Myron tracking the animal, using a borrowed rifle that jammed, the lion mauling Myron and biting deeply into his left forearm, faithful workers carrying Myron back to Sikalongo by foot, thirty miles over hilly terrain. Myron and his helpers arrived at Sikalongo in the early hours of the morning and word was immediately sent to the doctor in Choma, the nearest town. Adda was out on an extended village visit at the time; an African worker was sent to tell her the news. She returned to Sikalongo to find that her husband’s arm was gangrenous and would have to be amputated to save his life. The Choma doctor needed the help of a surgeon to perform the operation. The nearest one worked in Livingstone, some one hundred miles away. The surgeon traveled to Choma through the night by special rail transport and arrived at Sikalongo the following morning. Anna said her father told the doctor: “If you give me anesthesia, I won’t survive.” Myron Taylor had some medical knowledge and skills, according to Frances Davidson, with whom the Taylors worked at Macha Mission. 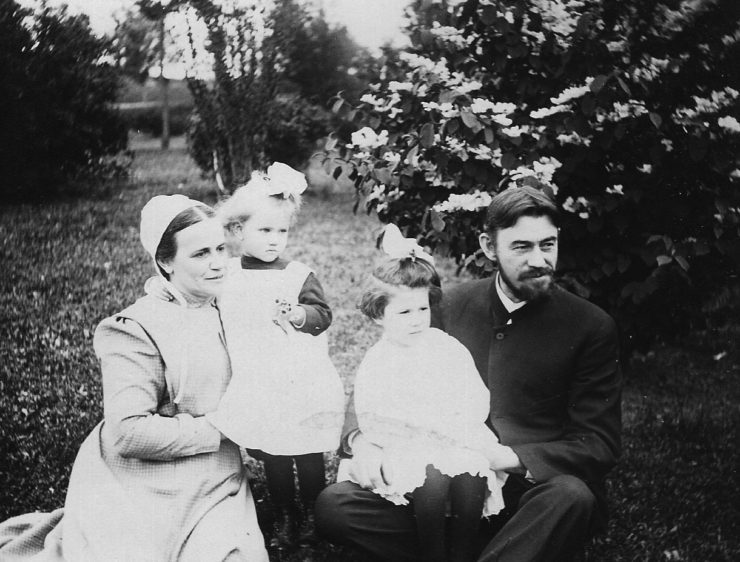 Davidson, writing about developments at Macha during the year 1912, notes: “Both Mr. and Mrs. Taylor were quite successful in medical work, and some difficult cases came for treatment. In this year Brother Taylor treated some very severe wounds, ulcers, cancer, a boy with his hands blown to pieces by gunpowder, a native badly lacerated by a leopard, and an European who had accidentally shot himself, in addition to other cases. Myron was fifty-eight when he died on September 16, 1931, while under anesthesia. As it happened, the attending surgeon was also a Reuters press agent, and so the news of Myron’s death went out on the wires around the world. Anna’s sister Ruth—at school in Grantham, Pennsylvania—first learned of her father’s death by reading about it in the newspaper. Anna was in Bulawayo at the time and heard the news of Myron’s death in a slightly more personal way. The publisher of local newspaper The Native Mirror, an Australian by the name of Hadfield, was a friend of the missionaries and acquainted with Anna. When he received the Reuters wire about Myron’s death, he took the news to the headmistress at Eveline School, who informed Anna. Mr. Hadfield drove Anna to Matopo Mission and told the missionaries of Myron’s death. 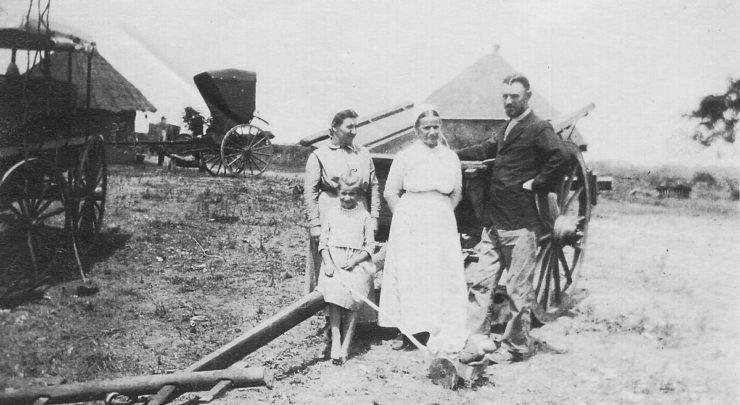 A couple days later Elizabeth Engle Steckley (missionary nurse, first cousin to Anna’s mother) and Harvey Frey drove Anna to Sikalongo, arriving a week after Myron’s death. “How was your mother coping?” I asked. Anna left Africa with her mother in 1932. Having completed Form 4 at Eveline School in Bulawayo, Anna enrolled in and graduated from Messiah Academy (high school) in Grantham, Pennsylvania. She tried college, but “it did not go well…I wasn’t well…had a nervous breakdown.” Anna identified two stressors: her father’s death and adjusting to a different, less-structured educational system in the U.S.
Later Anna worked at Paxton Street Home in Harrisburg, PA. There she met a widower, Arthur Grissinger, who had one son. Anna and Arthur married in 1950. Anna died in 2007 and Mabel in 2008. I have since thought of other things I could have discussed with them. What a wealth of knowledge and wisdom our elders have to share; we need only ask and listen. Anna R. Engle, J.A. Climenhaga, and Leoda A. Buckwalter, There Is No Difference: God Works in Africa and India (Nappanee, IN: E.V. Publishing House, 1950), pp. 130-134. “Draft Descendant Genealogy of Ulrich Engel & Anna Brachbuhl 1754-2004,” Engle Family Association, 2004. 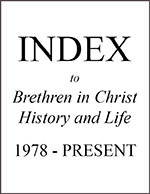 H. Frances Davidson, South and South Central Africa (Elgin, IL: Brethren Publishing House, 1915), pp. 237-262. Engle, Climenhaga, and Buckwalter, pp. 93-99. F. Mabel Frey, “My Father, Harvey J. Frey, undated and unpublished manuscript, p.1. Ruth Barham Bell, personal communication, November 2014. Engle, Climenhaga, and Buckwalter, pp. 136-137. Jan Engle Lewis is a semi-retired mental health educator/consultant living in Baja California, Mexico, where she writes and volunteers at a women's shelter (newbeginningsbaja.org). She was administrator of the nurses' training school at Macha Mission (1976-1978), taught at the University of Zambia, and worked with Zambia Nurses Christian Fellowship (1980-1984). Jan posts regularly on Facebook (Jan Engle Lewis) and blogs periodically at janecuador.blogspot.com. Read more articles by Jan Engle Lewis. Can a Congregation Be the Church? How in the World Have We Changed?